Elephant Riding in Rajasthan: Good Idea, Bad Idea? The city I most looked forward to visiting in India was Jaipur, a metropolis dubbed “The Pink City” that is famous for its salmon painted buildings and the Amer Fort. Once we’d gotten our bearings in Delhi and Agra, Hayley and I were set to enjoy endless lassi yogurt drinks and climbs to some of India’s most jaw-dropping forts and palaces. Other travelers told me that Jaipur rises out of the desert like a mirage, but we rolled in on a sleeper train that was delayed several hours through a seedy part of town. The porter knocked on the door and motioned for us to get off. Jaipur, after Delhi’s chaos and the scam-laden town of Agra, was already a dream. Ali stood, arms crossed, waiting to take us to Hotel Kaylan. Though illiterate, he pulled out a journal that was full of recommendations and reviews from other traveler. He stood up and opened the compartment under his seat, taking out a photo album so we could settle on an itinerary. 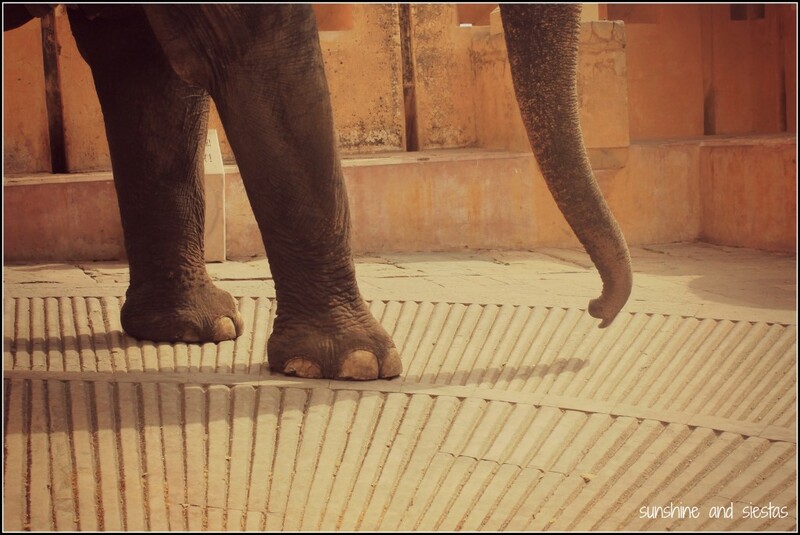 Apart from the city’s main sights, like the various forts and palaces, the Janta Mantar and the Hawa Mahal, he pushed the Elefantastic park, allowing us the opportunity to paint, feed and swim with the pachyderms. After all, the Rajasthani state is famous for its Indian Elephant festivals and breeding grounds, and elephants have been used for centuries in trade and commerce. What’s more, one of Hinduism’s most beloved gods, Ganesh, the god of good fortune, is depicted as an elephant. Ali drove us to the Monkey Temple at sunset. Animals are quite commonplace in the streets in India – not only are sacred cows able to freely roam cities and eat all the trash they can find, but we saw goats in rickshaws, pigs and warthogs complacently lying on patches of cracked cement, and now monkeys swinging about temples as the faithful prayed. India is different when it comes to animal treatment. As an American, I’ve always had a pet and have been taught to respect animals. My parents contribute to the National Parks System and sent me to summer camp as a kid, and I’ve been riding horses since I could walk. That said, I eat meat and would probably defend a human over any other four-legged creature. I found India to be a strange paradox: Gandhi once said that you can measure a nation on how they treat their animals, but there were scores of abandoned creatures. 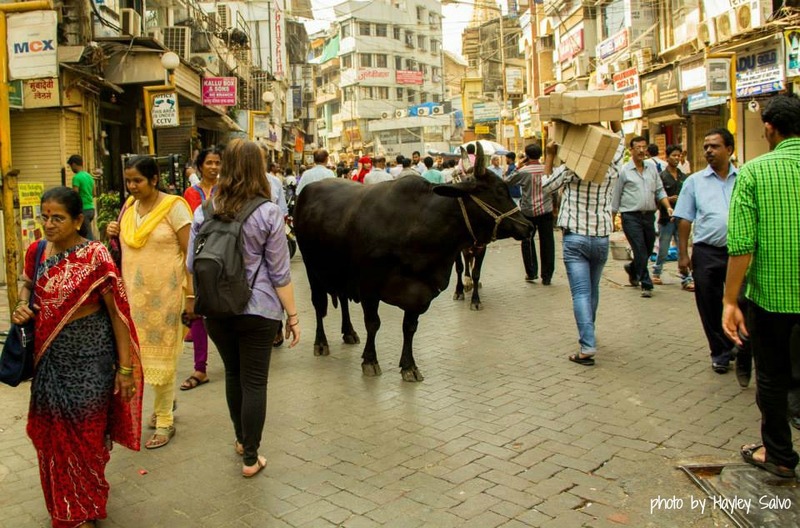 In fact, I didn’t see an animal on a leash until our last morning in India. We spoke softly to a man who carried around a bag of mangoes and spoke good English. 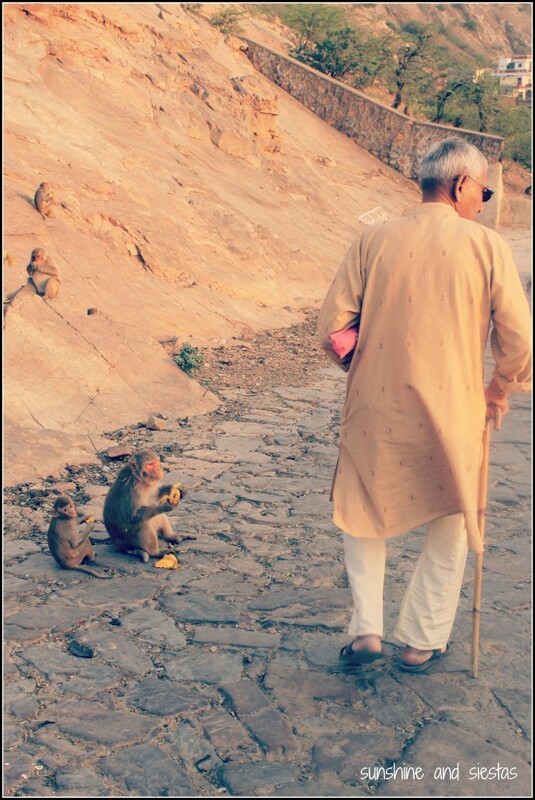 Despite leaning on a cane for support, he’d been climbing up the slippery slope that wound up a steep mountain a few times a day to feed the massive flock of Rheus Langur monkeys that lived in the vicinity of three small temples. We’d given the Amer Fort a full morning before hiring Ali to take us to the Mughal markets for shopping. But I was still faced with the decision of whether or not I’d want to ride an elephant up to the magnificent, sprawling residence. We spent the breezy night up on Hotel Kaylan’s terrace restaurant, sipping fizzy soda water flavored with lime and salt. While Hayley settled something with her bank, I dove into researching elephant treatment in Rajasthan. Part of the hesitation about the ride came from participating in the Travel Blogging Calendar to raise money for Thai elephants. After being clued in to exactly what happens to elephants when they are tamed there, I would have been horrified to support a rehabilitating practice. I was encouraged to learn that the Indian Government opened and has sponsored an elephant compound since 2010, meant to be a refuge for the pachyderms and a tourism center for Indian elephants. There’s also an Elephant Wellness Office to which abuse and mistreatment can be reported. The 100+ elephants working at Amber Fort have specific rules about how many trips they can make per day and are limited to two passengers, plus their Mahout, or handler. In fact, most are able to stop working for the day by 11am, before it gets too hot. No downhill trips are permitted. But get past the first few pages of Google, and the horror stories crop up – elephants dying of heat stroke, of mahouts being trampled to death, of lack of funding for sick and suffering animals. I didn’t even bother investigating how the animals were trained. The issue, of course, is not black and white. As animals have traditionally been domesticated by man for millennia, and this sort of tourism is crucial to many communities in India, I began to weigh those points as well. The Novio has trained horses and dogs, and his family relies on animal to earn their living, so would I be hypocritical by refusing to take the ride when I’ve ridden horses and camels? By the time we went to sleep, I was still uneasy about the decision I’d have to make. I’d imagined elephants would be a part of my India experience, just as dosas and a guru reading my chakras and learning to drive a tuk tuk were. Ali showed up early the following day to pick us up and take us for a lassi before driving to the palace. He pulled off the road adjacent to the Maota Lake and asked: to the elephants, or are you walking up? I had asked his opinion on the ride, and he admitted that he wouldn’t think about doing it. Ever. Full stop. Ali is a spiritual and respectful man, so I trusted his judgement. We set off walking, having to dodge hawkers and other tourists on the ramp and stairs that lead to the Suraj Pol, or Sun Gate. When I saw my first elephant, trunk decorated with paint, I gasped. Having only seen elephants in zoos, I couldn’t believe I was just a few paces away from one – so surprised, in fact, that I narrowly missed a pile of fresh poop. The climb itself was incredible, and we passed by the elephants through narrow gates. I didn’t, for one second, regret my decision to forgo the ride – it looked shaky, so I wouldn’t have gotten any good photos anyway. 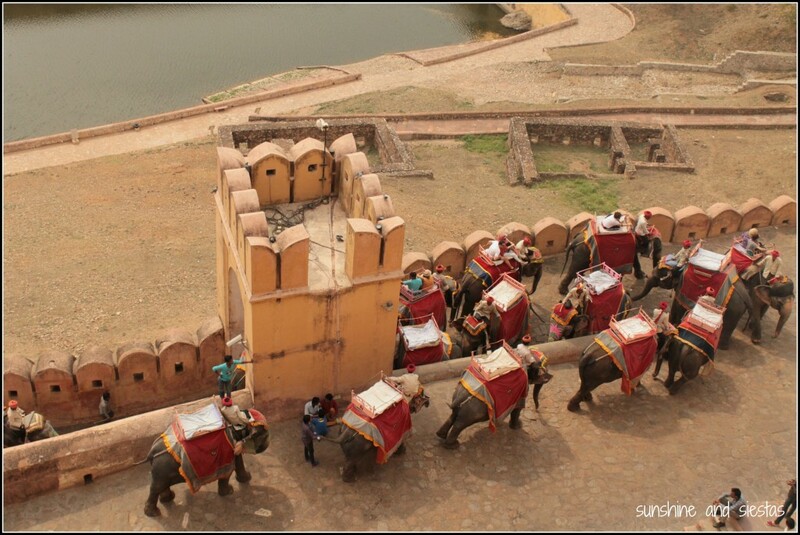 Watching the passengers dismount in the lower courtyard, called the Jaleb Chowk, the elephants turned around and went back the way they came. I couldn’t deny that it was beautiful to watch them sway as they left the sun gate and went back for the next batch of passengers. Elephants, in Hindu culture, represent strength, prowess in war, majesty and royalty, and a vehicle to the divine world. But in no way does a vehicle to the divine world mean sitting on top as the elephant trudges up a slope. This article was written as part of Contiki Storytellers’s campaign for Costa Rican sea turtles (please watch the video above!). Animals are an important part of ecosystems, after all. I cannot tell you it’s right or wrong to ride an elephant in India or Thailand or elsewhere, merely that you investigate and make the decision based on your personal feelings. I am not a conservationist or an animal rights activist – I’m just a traveler who didn’t feel right taking an elephant ride. I was not paid for this article. What’s your take on animal tourism? I’d love to hear from other bloggers like Green Global Travel, Wanderlusters and Hole in the Donut, who are into responsible tourism. 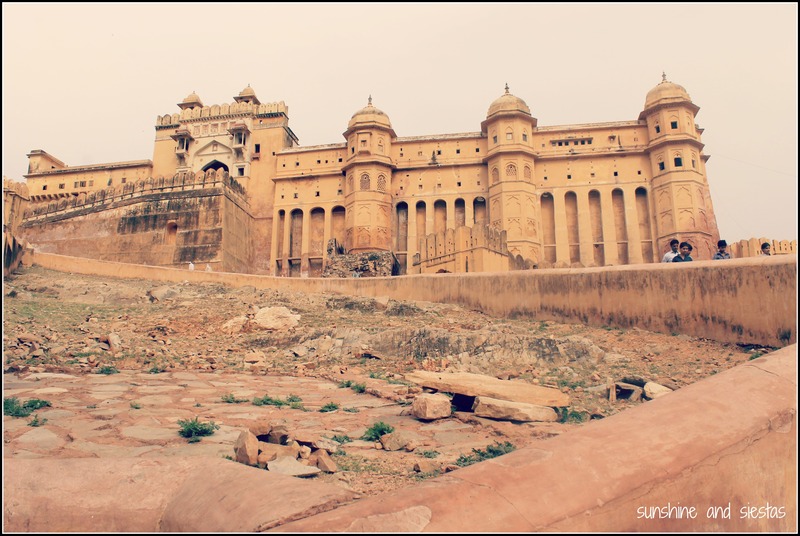 The Amer Fort is located 11 kilometers from Jaipur in the village of Amer and is open daily from 7:30am until 5:30pm. Foreigners pay a 200 rupee entrance fee (about 3€). The cost of riding an elephant is 1000 rupee for two people, plus a tip for the driver. I am so happy you addressed this topic and weren’t afraid of looking like a “spoil sport” for not wanting to exploit the elephants (or at least because you were unsure if they were being mistreated). I am by no means a militant animal lover but it’s always something that should be in the back of your mind when you’re travelling – and sights like chained up tigers in Thailand always upset me! I don’t think I would have ridden an elephant either. I’ve watched some of the videos of how they “tame” the elephant when it’s just a baby on Youtube. It’s awful. Camels, horses, and dogs are traditionally domesticated. In fact, the only wild camels in the world exist in Australia (which I think is the most hilarious thing ever). Elephants really aren’t meant to be like that. I understand some countries have a history of domesticating elephants but it’s not something I really understand. Elephants are the largest mammals on Earth and there’s a reason the process for taming them is so aggressive and brutal, they’re huge! It would be interesting to get an elephant handler’s point of view and see how they acquired the elephant in the first place, how they got into that business, and how they trained their elephant. But for me personally, I will not be riding anymore elephants in the future. (Did it once at the zoo as a kid). So good of you to write this article! You make some great points that I hadn’t thought of, and also I’m sure a lot of your readers will now consider. I had a similar dilemma when deciding whether or not to ride a camel through the Moroccan sahara. In the end I decided to do it, because, as happens for so many people, travel experiences trumped ethics, I guess…..Maybe it’s the mentality that “Just because I don’t do it, the practice won’t stop, and I’ll still have missed out on a great experience.” But I wish that wasn’t the case! Thanks for sharing this article. Kudos for following your conscience. And for writing that kept me on the edge of my seat, wondering what you’d ultimately decide! What a great article to read, especially since I have just had my own little ethics debate in my head about favela tourism! I think you’re absolutely right – it’s not a question of telling people something is right or wrong, it’s more about visitors being presented with all of the facts and then making an informed decision. There is a similar debate that has gone on in Australia for many years – whether it is right or wrong to climb Uluru (Ayer’s Rock). For years the national park allowed everyone to climb, regardless of the wishes of the traditional owners, the local indigenous people (to whom Uluru is sacred). In the past decade or so, the traditional owners have been granted a type of caretaker ownership of the site, and have advised visitors not to climb Uluru. They haven’t straight out forbidden it, rather they have asked people to inform themselves of why this might not be such a good idea and then make a decision. People still do climb, but the number has gone down significantly, with less and less people climbing each year. (Hardly any young people climb, it is more older people who have grown up with stories of people who had climbed it, almost like a rite of passage.) I think this is more powerful than straight out banning it, and would love to see a system like this implemented in other similar situations around the world. What an interesting approach! Much as I love to travel and visit new places, it’s clear that there is a correlation between tourism and destruction, be it of habitat or local tradition. Like you with the favela tours, I had a loooong internal stubble before deciding to follow my gut! I so agree – and love how you laid your your reasoning, because my brain works in the same ways. It’s great…until it gets annoying! Thanks you, Noel! India is beautiful, even through all of the ugly parts! I had never really thought about this, but I think you made the right decision. I even struggle with zoos nowadays; I don’t think they’re “right” either but it seems to be very accepted. I loved zoos as a kid, but they make me really sad these days!! Thank you for this. I would have made the same decision and admire you for choosing the walk. I hope that we as a species continue to move against the domesticating of elephants, and support sanctuaries around the world that are taking elephants in and letting them live out their days in as close to a natural environment to them as possible. And Kaley, I agree with you regarding zoos.. I think what was once acceptable has us all now thinking..
Hi Wendy, thanks for weighing in. It seems that the local government is starting to pour more money into their care, but reeducating people may take a while. Here’s hoping we start to take more care of these precious animals. You make great points. I’m glad to see you tackling this issue that was very much on my mind in my recent India trip! Your posts was one of the first I consulted, Lillie! I don’t regret my decision, but I would have really liked to touch them! Thanks for your input. I think you made a great decision. Sometimes it’s hard following our intuition. Great article! I think what’s funny is that, shortly after visiting the palace, we went and saw a guru, who told me I have great intuition! Thanks for sharing. They are amazing creatures!! I think the key is educating yourself and then deciding based on your values. Cat, I love your honesty here . Thanks for sharing a different perspective. Thanks for researching and writing this, and for your thoughtful, open approach. 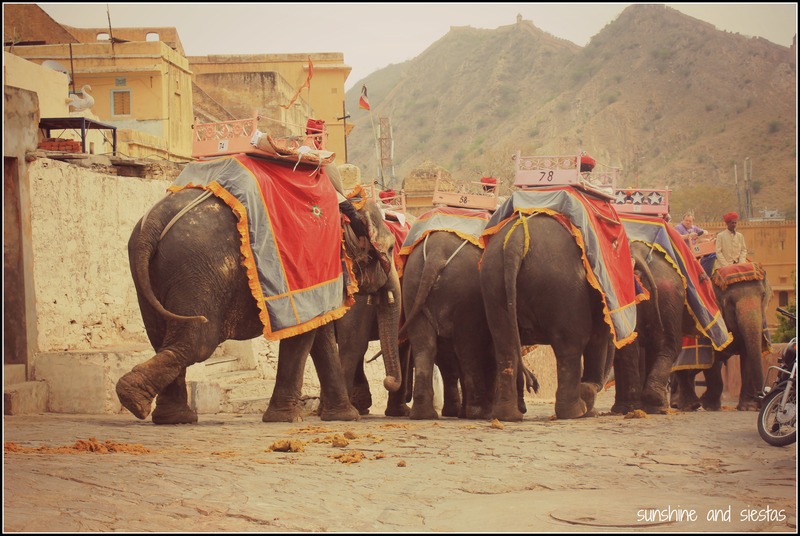 I did ride the elephants up to Amber Fort once when I was in Jaipur, before my eyes were opened to the harsh treatment tourism elephants often face. I don’t think I would do it again. Next time I’m in Rajasthan, I plan to do some on-the-ground research about the elephants, and learn more from a first-hand, behind-the-scenes experience. 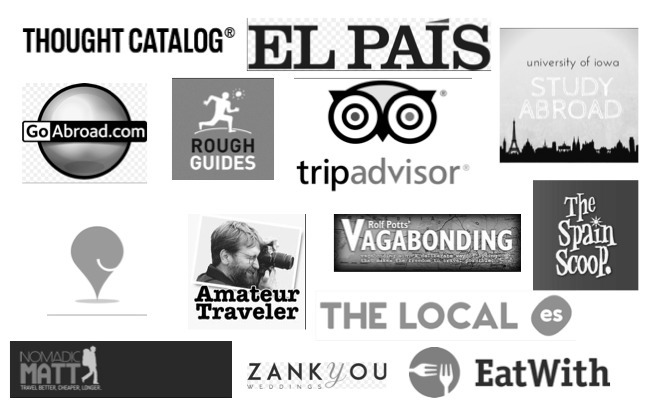 Used your site when planning my trip – put me at ease for the big trip! Appreciate you weighing in and sharing (as well as pointing out my errors!). As you said on twitter, I think dialogue and responsibility can most benefit this sort of tourism. Cat, thank you so much for the balanced and thoughtful treatment of elephant riding. I often see knee-jerk reactions to this kind of issue that fail to take into account all sides of the equation. Thanks, Micki! It was something I reflected on a lot before actually sitting down to write – two months, in fact! 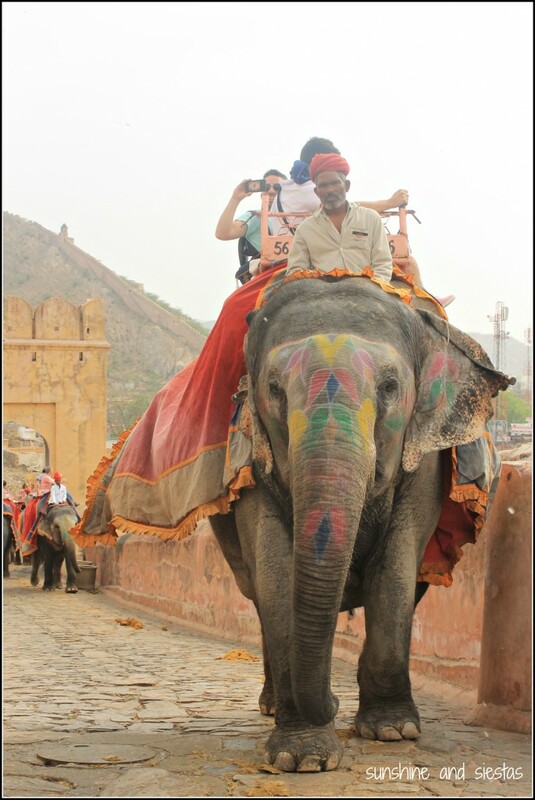 I loved Jaipur, but no, I also didn’t ride the elephants. It didn’t feel right to me. Thanks for sharing your insights on this! I wouldn’t have ridden an elephant, in general I don’t like using animals like that, even horses. Sharon recently posted..PowerBreather Swimming Snorkel – Laps & snorkeling will never be the same!